This officially licensed collegiate dart cabinet set will look great on the wall of your game room, man Cave, bedroom, dorm room, or office. 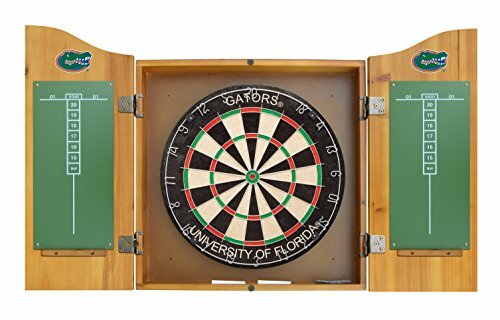 Set includes solid Pine cabinet with deluxe hardware and school logo, bristle dart board with school name, 2 chalk board scorers, chalk, and eraser. Mounting hardware included. Darts not included. Product dimensions: 23-1/4"L x 22"W x 4"D.